Becky and I are headed to Cozumel tomorrow morning. We are going with 3 other couples (one of the other guys is also on DiveBuddy.com, screen name is: H20. We are staying at the all-inclusive Wyndam resort. We have been advised (by other DiveBuddy members) not to pay the extra fee to stay on the "adults only" Sabor side of the resort (due to lack of bar service and people use the pool on other side of the hotel more often anyway). We are also bringing mostly U.S. dollars (since most places accept that) and will only take out a little bit in pesos from an ATM machine at the airport. We are diving with Sea Robin one day, they are picking us up at the Sabor pier at our hotel. Sea Robin agreed to take me and two of my friends diving for free in exchange for some DiveBuddy advertising...so be looking for their banners after I return. So far, they are very responsive and I’ve heard some good things about them from other DiveBuddy members. I’ll let you know more about them when I return. Once Becky and I return...if we return :)....I’ll add more to this blog about the whole trip and experience with Wyndam and Sea Robin. BTW, we are going to have to pay an extra $15 to check on a bag at the airport (mostly diving stuff and Bec’s clothes). Hopefully we don’t need to check two, because the second one costs $25! And you have to pay that both ways. Have a great trip Greg, let us know how Sea Robin treats you. 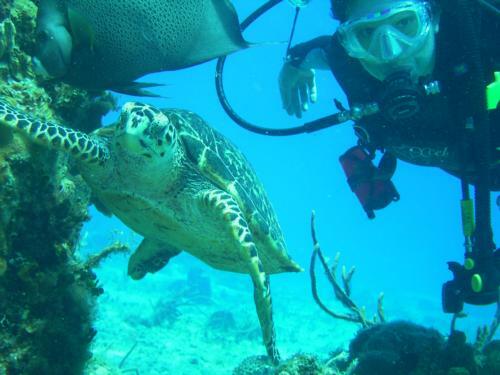 My wife and are both on Dive Buddy and we are going to Cozumel at the end of October. 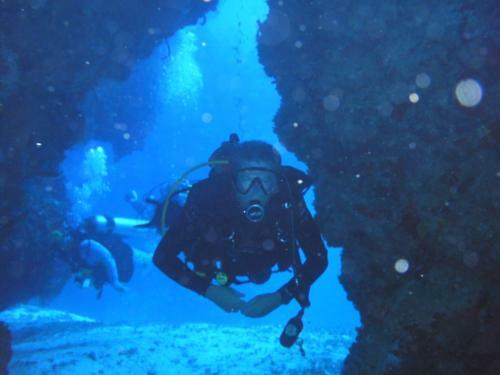 We are looking for a decent operation that’s reasonably priced to handle all our dives. Enjoy. Enjoy Cozumel!! Next time you go to Wyndham let me knwo I have a contact there and can get you a lot of perks. Hope the airlines didn’t take you for too much...last I knew Delta was still not charging for bags going to Mexico....but who knows they may have changed things! Have fun and dive safe!!! !